A BIG blogging break, awards and a heartfelt Thank You! I started the blog when I was feeling particularly friendless and lonely. I was looking for work and not having a lot of luck with the process and feeling utterly directionless. I envied the easy camaraderie dedicated bloggers had with each other, the comfort they shared in knowing each other's virtual identities, being a part of their virtual worlds. I read about the Arusavai Friendship Chain on several blogs and was truly astounded at how we are all unified in just craving just a bit of human company...with people who 'get' us, who share our passions, our hopes, revel in something as simple as a cake well baked. I miss talking food...simply because I don't have a lot of people in my immediate circle who would obsess for hours on the perfect recipe for bread. Starting the blog gave me a chance to do just that. I felt like I walked into a roomful of my besties...a total warm and fuzzy place! Thanks to Divya, Sudeshna, Priti, Laavanya, Sheetal, Madhavi and others. Like some angsty teenager, I convinced myself 'nobody cares'...till Priti jolted me out of my slumber...Sudeshna bestowed a couple of awards. 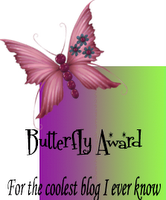 The blog begged to be updated, the awards wanted to visit other blogs and I just wanted my warm fuzzies again. So now I make a solemn vow that this the longest break the blog will ever get, may the keys of keyboard grow weary with strain, may the clackity-clack annoy the husband into sleeping on the couch, may years of archives build up, may lazy fingers never stop typing or cooking(like I have choice with the latter! )...long live the bloggers! So the point of the post, Thank You for all those who read and cared. Much appreciated. Really. Passing on the baton to Sheetal, Madhavi, Laavanya, Divya, Kitchen Flavors, Priti and Tee.